Micromax has delivered the Android Jelly Bean update to the Micromax Canvas 2 A110 smartphone as promised, last week we reported that Canvas 2 will receive Jelly Bean update in the next week. Also last week we pointed out that in order to get the update users have to visit the Micromax service centers. Now there is no need to go to the service centers if you know how to flash ROMs, you can find the links at Xda Forums to flash ROMs. 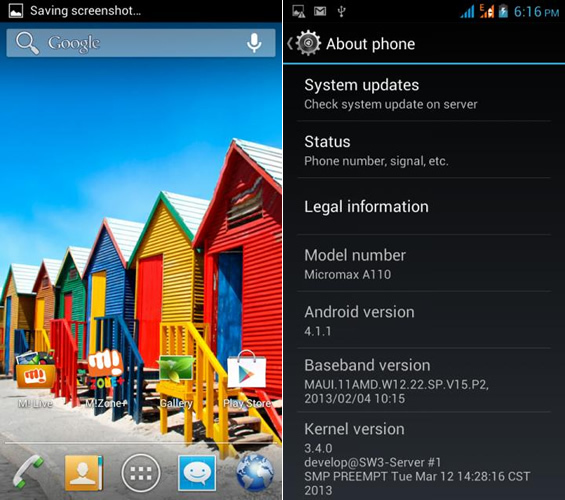 The update is for Canvas 2 A110 from Android Ice Cream Sandwich to Jelly Bean 4.1.1, it brings some new features and improvements. Jelly Bean update means users will get Project Butter improvements, project butter improves performance and the touch performs as smoothly than the previous versions of Android. In the update M!Store is removed and new wallpapers are integrated. To get the download link to the official link and other custom ROMs head over to Xda forums and find other information and instructions on how to flash ROMs and etc. 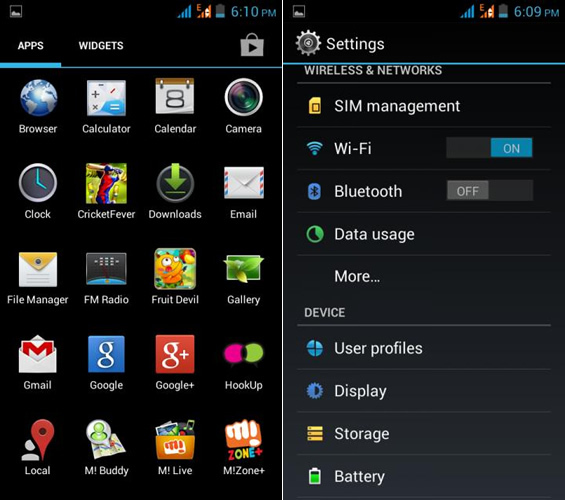 If you know how to flash ROMs then only proceed, otherwise your best bet is Micromax service center. You can find your nearest Micromax service center here. This is a good news for Micromax users, Micromax is often criticized for not giving updates to their devices. This also gives confidence that their flagship device Micromax Canvas HD A116 will also receive updates at some point.